Best Advice I’d Give To Someone Who Wants To Build A $10m+ Business: Sometimes you have to slow down to speed up. Being thankful for setback years and the joy that comes from getting through those. The first step to monetize your expertise in the new media world. Co-creating with your audience, not in a test tube. You have to embrace new media, the old ways aren’t coming back. It’s not about a huge following, you have to have your foundation in place first. People want to be successful – they don’t value a lot of content as much as they value their time. 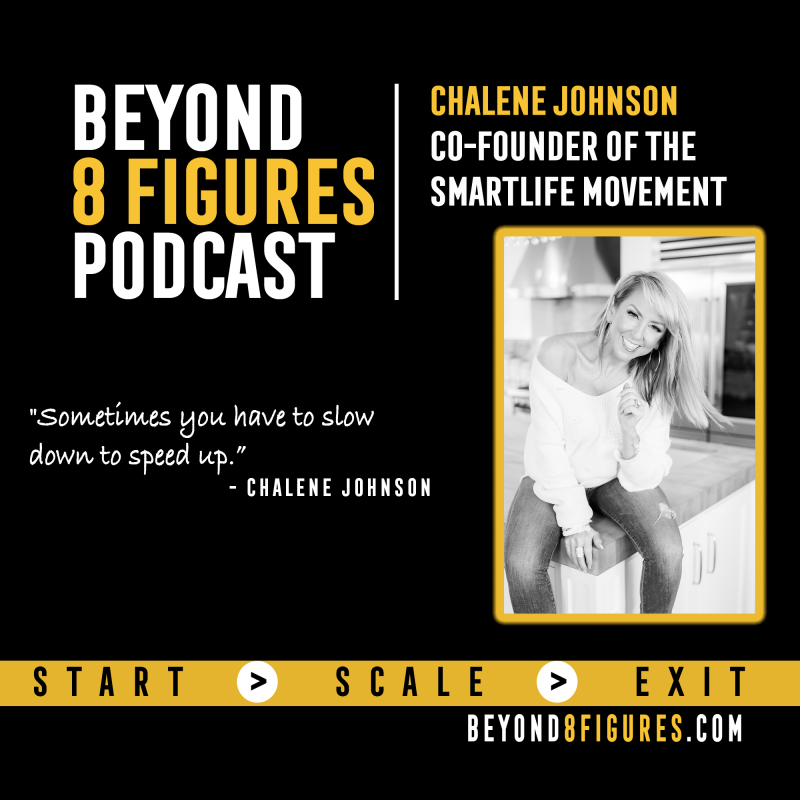 About Chalene Johnson:New York Times Best Selling Author of Push, Chalene Johnson is a lifestyle and business expert, motivational speaker, and podcast host. She and Bret, her husband of over twenty years, are the founders of the SmartLife movement. Today, with her husband, Chalene runs a fun loving, collaborative team focused on helping others live a healthier, more simplified life through their online academies, membership sites, and live, sold-out seminars. Chalene, with the help of top dietitians, doctors, researchers and experts, she founded the 131 Method and new Book – a nutritional program that’s turning the diet industry upside down. She hosts two top-ranked podcasts, The Chalene Show and Build Your Tribe.